Welcome to my page! Hi everyone, my name is Saunder Strong. I am an Acute Lymphoblastic Leukemia survivor as of November 30th, 2018! I am super pumped to raise money for LLS with the help of my 17 team members. It would be amazing to have the honor of being Student Of The Year and receive the prize, but that is not my motivation. I have a goal of raising $50k to name a Research Grant after Christian Larson, a friend of mine that passed away from cancer this past September. Please consider donating to this great cause and help me reach my goal! Welcome to Saunder Strong's SOY Fundraising Page! You are one impressive human, Saunder! Way to fight the good fight. Thank you Saunder for fighting for us. Thank you for modeling generosity, selflessness and strength by turning your big challenge into a hopeful promise for others. We are proud to support you. Saunder and family, we are inspired by your strength and love. Best wishes, the Reddy Family. You are my inspiration!!! Your future holds big things!! Love you all! You are such an inspiration to me and my family, Saunder! Thank you for showing love and passion for this! Saunder, keep up your courageous fight and inspiring leadership. As a young boy, I first became aware of Leukemia's cruelty when a close family friend lost his battle at age 14, and then again when a cousin lost her battle at age 15. Compassion, research, persistence and awareness will comfort and heal more and more. What you are doing is awesome!!! You are an inspiration to us and to many people you are not even aware of. Tara has a pretty cool nephew and Isla has a pretty cool cousin from what I hear from them! And now I can see why! Good luck on meeting this challenge, you can do it! It was great to finally meet you and your family at the End of Treatment Party! It was a very inspirational event! Hey Saunder! Congrats and good luck with your fundraiser! You're doing great work for others with this disease. You are an inspiration! Thank you for your hard work in raising money for LLS! What a wonderful gift to honor your friend this way. Thanks for being a role model, amazing human and strong fighter! What an Awesome story and Inspiration you are young man! So young and you have already lived such a worthy life by the way youve impacted those around you! You and your family are positive, inspiring, and dedicated. We are truly in awe and thankful for your health. ???? You are one amazing human being, Saunder Strong. We are so proud of you out here in KC!! You are such an inspiration to all of us of how “Strong” we should be! Many prayers sent your way to meeting your goal!! Way to go, Saunder! You are such an inspiration. What a generous and thoughtful person you are! So glad you have are on the other side of treatment. I worked with Christian's mom and that's how I heard of your fundraiser. As Christian's mom, I am so honored to learn of what Saunder is working towards to help others and to name this grant after his friend. Christian would be so proud. We are happy to help and look forward to celebrating your victory! Way to go Saunder! I hope you make your goal!! You are the coolest, dude. Saunder, you are an inspiration to all of us. Keep up a good fight in what ever you do in your journey. Great job, Saunder! Couldn’t make it today but wanted to donate. From your friend Clement (with his parents' match). We support your efforts and honored to help. You should be very proud of yourself and stay healthy! We are proud and honored to support you, Saunder!! You are a light and inspiration to many. Great thing that you are doing! Good luck! God bless you and your family. Praying for continued remission and cure for you. My husband is currently in a 2 1/2 year battle with cancer. We live it everyday and GOD gives us the strength to get through. Fearless faith!!! We will be praying for the family of your friend who has passed. Our sincerest sympathy. You are a warrior!!!!!!!!!! Praise GOD for your continued recovery. I heard about your story through a co-worker where I work - The Bernard Group. You story is an inspiration to many and I love that you are dedicating this to your friend Christian. God Bless and keep on fighting! This is one of many things you will conquer and win! 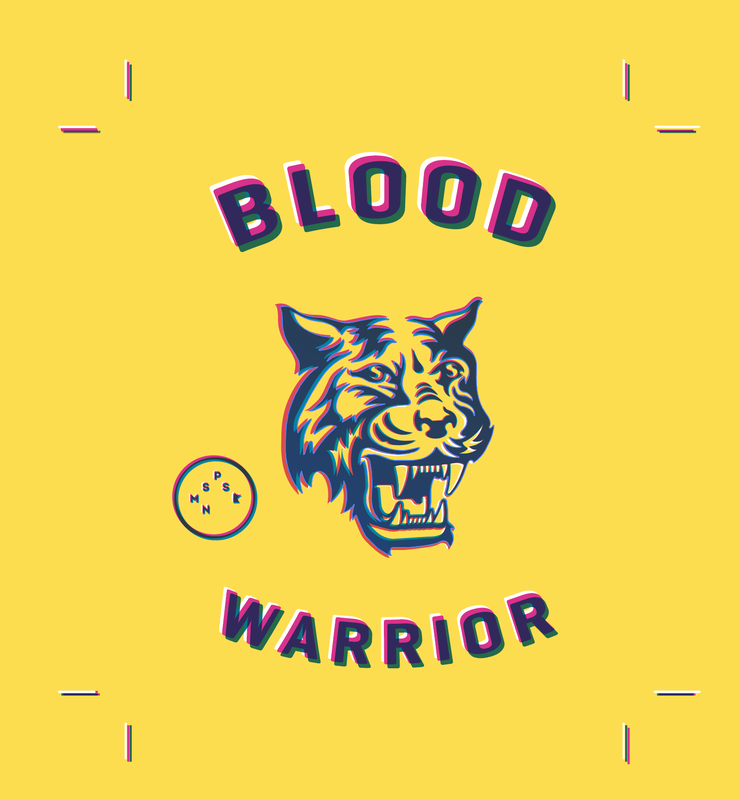 GO BLOOD WARRIORS! Way to go Saunder! We are here cheering you on throughout your journey! Awesome campaign! Giving is the best way to propel positive change. So proud of you, Saunder! God will use all of your experiences in life, both the ups and the downs, for good. What an amazing tribute to your friend. Wishing you continued good health and happiness. Go Saunders! What a great job you are doing! We don’t know you but I’ve seen your link through a couple of different people, unrelated. You should be so proud! Saunder and family, thank you for continuing the fight for better treatment options and ultimately a cure! With young family members suffering through the same thing right now, I can't say thank you enough! We admire your selflessness and strength. What an incredible way to honor your friend. You have a heart of gold and are destined for big things in this world! Always happy to support an important cause. Thanks for your hard work in making a change! Best wishes, Saunder, we wish you continued health from here on to always. You are doing amazing work and spreading inspiration! We’re inspired by you and your family, Saunder! Saunder you are a FORCE!!! We felt so inspired by your story, Saunder. What a great big heart you have. This donation is from the APEX charity event on 2/8. Saunder your focus and drive to raising money for this cause is so impressive. YOU INSPIRE ME! You are such an inspiration! We love your inspiration, love, fight and generosity. Jessica! I missed giving you a check last night at Hot Notes. So impressed by Saunder, you have a cool kid! Your wonderful and thoughtful idea to raise funds in honor of a good friend (Christian) is an awesome tribute! I have kept up with the story of your continuous fight thru the years with your Gr'ma & Gr'pa Manley -- keep up the good work and good fight against this ugly disease!! God Bless you and your family, Saunder!! Good Luck on meeting your goal! God Bless! Great work Saunder! You are truly an inspiration. you are such an inspiration and great role model! congrats! Go Saunder. You inspire so many in how you show up to the game of life- all of it!! San Diego bath bomb sale! Loved seeing all the happy faces at the Lake Harriet fundraiser! Best of luck to you Saunders! You will make a great LSS Student of the Year! Thank you for your loving efforts in fighting this battle. Way to go Saunder - how powerful do you to use something so hard as a springboard for good! In honor of Saunder Strong's aunt Erin, whose birthday is today, and who is a brave warrior in her own right! Thank you,Saunder, for your fight and inspiration. You are an amazing force, and an inspiration to all. So admirable to do this in memory of your friend. Good luck in reaching your goal. If I win the prize - you get to keep it, Saunder. Bless you for all of your hard work! Love you! So proud of all you are and all that you’ve conquered! In memory of and in honor of brave warriors everywhere. You're a wonderful example to this world!